Featuring the TOP 3 Spa Manufacturers in the USA! Huge discounts on all 2017 inventory. 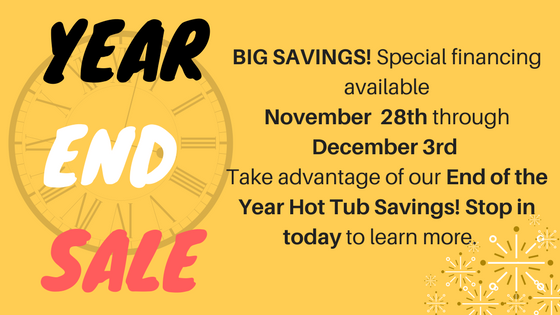 We are starting to clear out all the 2017 models to make room for all new 2018 swim spas and hot tubs! Stop in today to take advantage of great savings! NOW FEATURING THE TOP 3 Spa Manufacturers in USA! 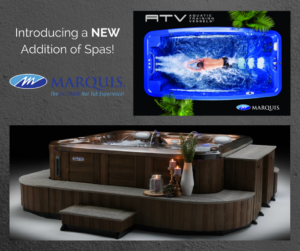 We are excited to announce a NEW addition of Hot-tubs and Swim Spas! Come in today to check out our awesome new line with GREAT prices! 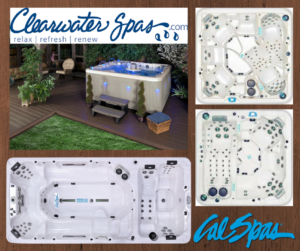 Featuring Clearwater Spas, Marquis Spas and Cal Spas which gives our customers more options to chose from than ever before.